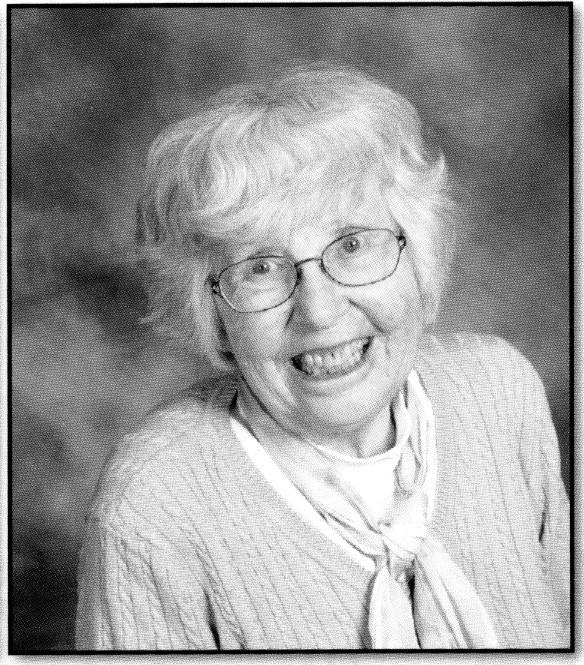 Claire Szoke is an activist among us who has worked tirelessly on behalf of social justice issues for over forty years. She is currently the co-chair of Central Illinois Jobs With Justice, part-time director at the Channing-Murray Foundation, and an active member of the C-U Immigration Forum amongst other volunteer activities. She remains as committed to working for social justice today as she did decades ago as an anti-Vietnam protestor right here in Champaign-Urbana. 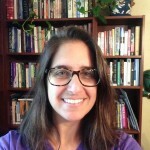 I have had the pleasure of getting to know Claire through her work on the Social Action Committee at the Unitarian Universalist Church of Urbana Champaign (UUCUC). She was gracious enough to give me a few hours of her time this summer to share some of her past experiences and her thoughts on the current state of social justice action in our community. The first thing Claire told me when we sat down to lunch to discuss this article was an excellent reminder of how gender discrimination in the workplace has historically undermined women’s access to employment and fair wages. A graduate of the University of Tulsa, Szoke was teaching high school in Danville in 1970 when she became pregnant with her first child. Danville, like many school districts around the country at that time, required female teachers to go on leave after their fifth month of pregnancy. When Szoke protested the policy to her principal, he assured her it was for her own good; he didn’t want her to get knocked down the stairs by rowdy students. Dismissed from Danville, Szoke looked for a teaching position here in town after the birth of her daughter, only to encounter discriminatory policies monitoring mothers’ work well beyond pregnancy. The Champaign school district refused to hire a woman with a child under age one, and Urbana denied employment to mothers with children under two. She could substitute teach, but could not hold a permanent job. In telling this story, Szoke pointed out that her varied work résumé since that period reflects what happened to many other women in similar positions. But what has not been varied in Szoke’s life has been her positive and active engagement in social justice issues. Claire’s interest in social and political issues began during her high school years in Tulsa in the 1950s, and at the University of Tulsa, and her commitment has only grown throughout the years. A thread that runs through all of the work Claire has done is a commitment to the belief that all individuals deserve respect and the opportunity to live in a fair and safe society. She protested to end the war in Vietnam and against the invasions in Iraq in 1991 and again in 2003. But her commitment did not wane after the active wars ended. After 1990, Claire worked against what she refers to as the “draconian sanctions” imposed by the United Nations against Iraq, which had a devastating impact on the Iraqi people. Virtually all imports and exports were sanctioned, including food and medical supplies, leading to a collapse of the country’s infrastructure and a huge increase in infant and child mortality. (See Joy Gordon, Invisible War: The United States and the Iraqi Sanctions (Harvard University Press, 2010)). And she speaks with particular passion about the work done by the Champaign-Urbana Ecumenical Committee on Sanctuary (CUECS) to support refugees from countries such as El Salvador and Guatemala who were escaping death squads and civil war. These refugees were denied political asylum because the U.S. government backed the Central American dictatorships. 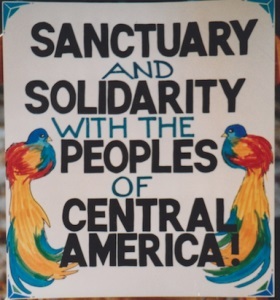 Throughout the 1980s, the movement provided aid to refugees, culminating in churches and synagogues publicly offering “sanctuary” to individuals being moved into the United States through an underground network of religious organizations. This purposeful flaunting of the law was a way to draw the community’s attention to the need for policy changes. See Linda Rabben, Sanctuary and Asylum: A Social and Political History (University of Washington Press, 2016). Szoke sees a direct connection between the sanctuary movement of the 1980s and immigration issues today, in particular the crisis created by the on-going Syrian war. As such, she continues to work on behalf of refugees through the C-U Immigration Forum, which seeks comprehensive immigration reform. The organization works with immigrants in the community with legal help, addresses individual needs, provides translation services, and conducts workshops such as “Know Your Rights.” She has more recently become involved in inter-faith action such as the C-U Friends Assisting Immigrants and Refugees (FAIR), which formed in the wake of Governor Rauner’s November 2015 announcement refusing the resettlement of Syrian refugees in Illinois. Claire also remains an active member of the Channing-Murray Foundation, a self-described “radically inclusive” organization that has brought people from all different backgrounds together over social justice issues for decades. She is especially proud of Channing-Murray’s commitment to involvement with the campus community and history as a space dedicated to social justice action and the affirmation of diversity in our community. It is easy to get discouraged about the lack of progress on many fronts despite decades of work by dedicated activists like Szoke. The Black Lives Matter movement reminds us that the violence of racism remains a potent problem in the United States despite a too often celebratory narrative of civil rights accomplishments. Labor unions are under attack throughout the country with legislative initiatives undermining workers’ rights and threatening labor’s power while the wealth gap continues to grow. The failure to achieve gender equity continues to undercut the social, political, and economic power of half of the population. And comprehensive immigration reform seems far out of reach in this volatile political environment. But talk with Claire for just a few minutes and any discouragement you might feel about lack of progress will turn into renewed determination to work toward a more humane and equitable society. 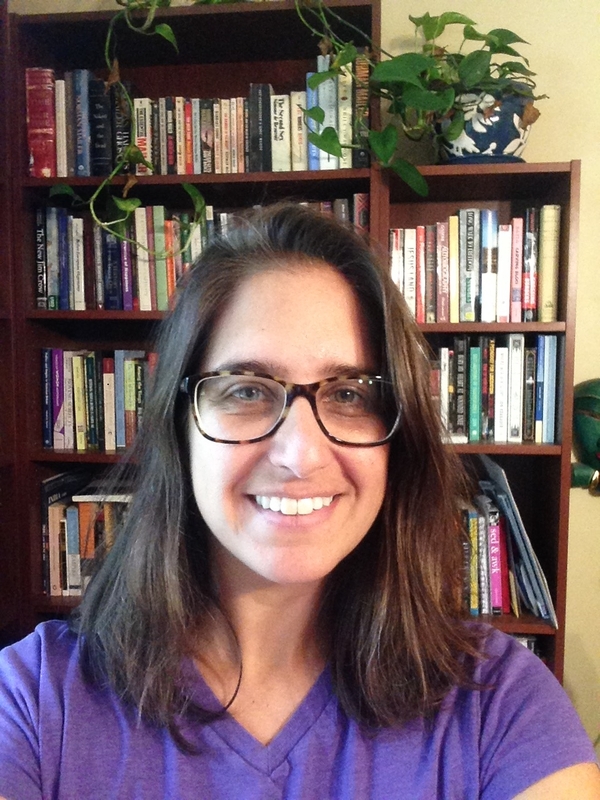 Julie Laut recently completed her Ph.D. in history at UIUC. This entry was posted in Immigration, International, Refugees, Women. Bookmark the permalink.